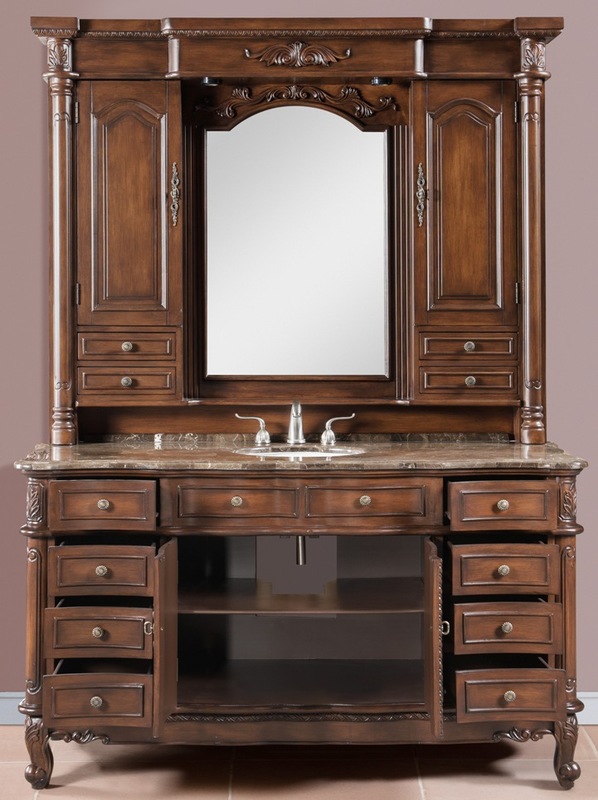 Everything about this Single Sink bathroom furniture vanity with Mirrored Hutch is Unique, including it's lovely furniture finish. 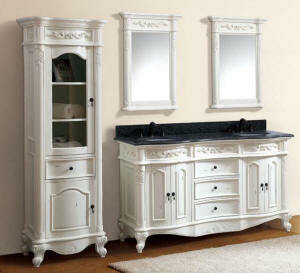 Made from Solid birch wood frame construction, this cabinet has overall dimensions of 64 1/2”W x 23 1/2”D x 37” high. 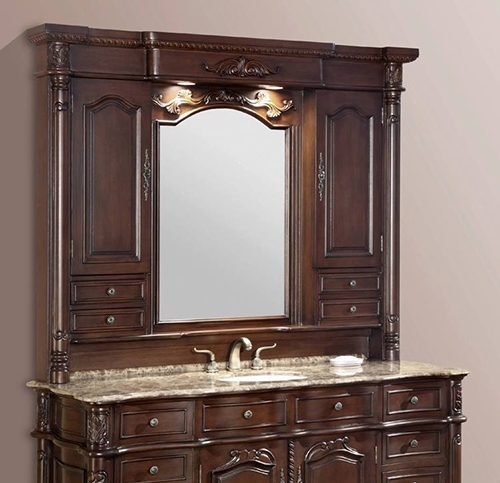 The wood doors, side panels and legs are constructed using a combination of wood veneers and High Quality High Density MDF materials. 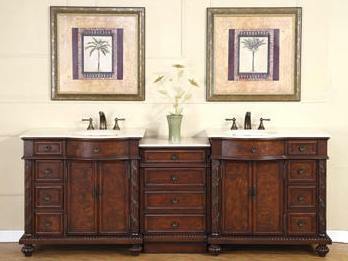 Offers convenient and conventional use of door and drawer bathroom storage combinations. 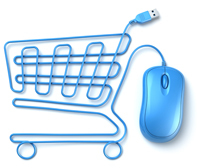 Order it now and we will offer Free Storage for up to 90 Days for when your construction job calls for it to be delivered. 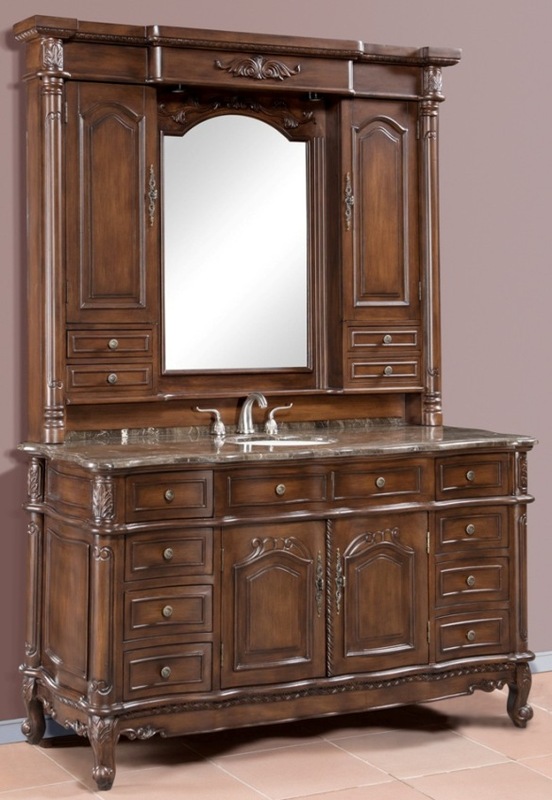 Single Sink Vanity Chest Overall Dimensions W=64 1/4" D=23 1/2" H=37"
Vanity Hutch with Mirror Overall Dimensions W=64 1/2" D=7 3/4" H=52"
Magnificent looking Simon Single Vanity Chest with Matching Set Mirrored Hutch. 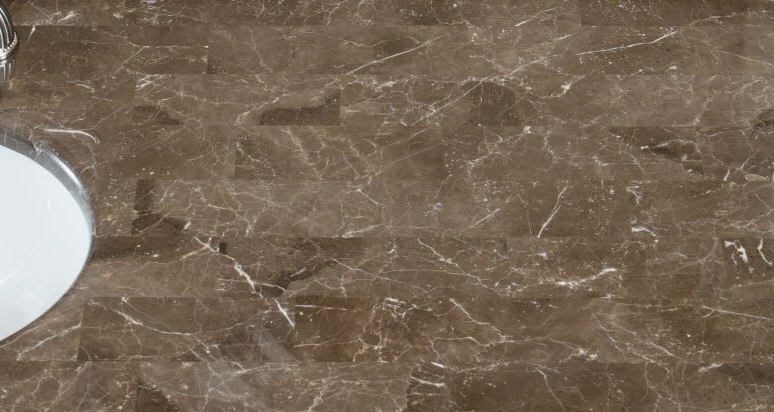 Photo below shows sample of Brown / Grey Patchwork Marble Countertop. 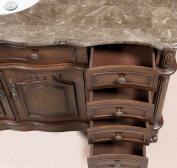 Photo shows sample of Brown / Grey Patchwork Marble Countertop. 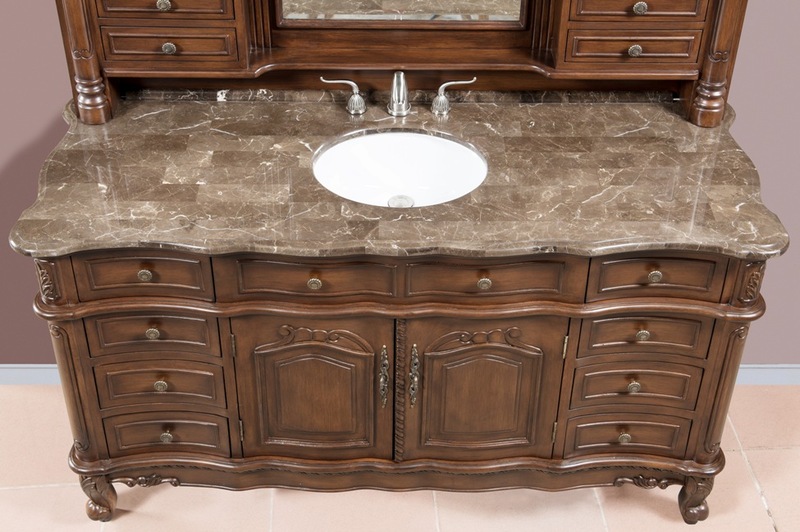 This Single Sink Vanity and Mirrored Hutch features a Patchwork Marble Top handcrafted with Triple Edges and includes a 1.25" Backsplash, Two Doors with Shelf storage compartment, Eight (8) Drawers on Metal Slides and White Porcelain Under Mount Sink. 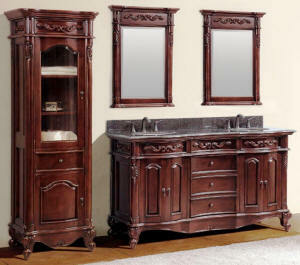 The Hutch includes a large Mirror, Two Doors, Two Lights and Four (4) Jewelry Drawers. 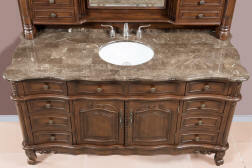 Optional, available 8" widespread Wing handle Brass Finish Faucet as Shown in product photo is sold separately. Plumbing Information: 18" up from ground level. 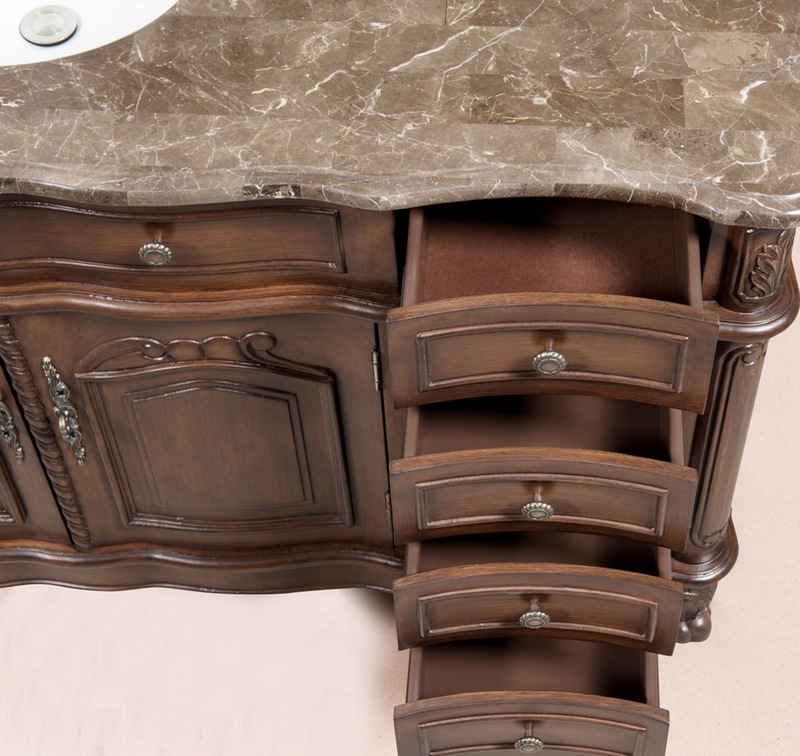 Opening at back of vanity is approx. 14" wide by 18" high. 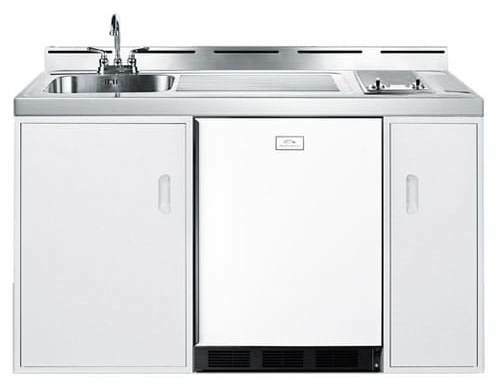 Ships with Sink and Marble counter top. Faucet sold separate.